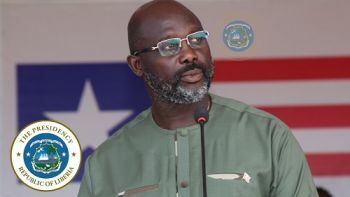 Monrovia, Liberia - President Weah has promptly responded to the critical condition of long-serving Executive Mansion Videographer Gabriel W. Mills by ordering that the badly injured staff of the Ministry of State for President Affairs is flown to Abidjan, Cote D’Ivoire, for further treatment. Another staff of the Ministry of States for Presidential Affairs, Gabriel Wilson popularly known “Executive Horn”, and a lady identified as Victoria Wlue, a passenger riding in Justice Wright's vehicle, died at the Phebe Hospital. The Liberia National Police is continuing her investigation. Initial reports by the police said Cllr. Wrights and his driver were under the influence of alcohol.